Heart disease is the leading cause of death in the U.S. – 1 in every 4 deaths is due to heart disease. 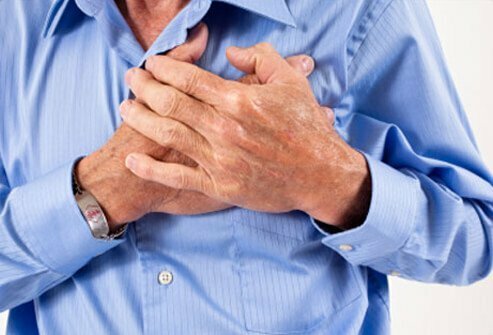 Severe chest pain may be an obvious sign something is wrong. But heart disease can be deadly because many people don't recognize some early signs and symptoms and they don't seek treatment until it may be too late. 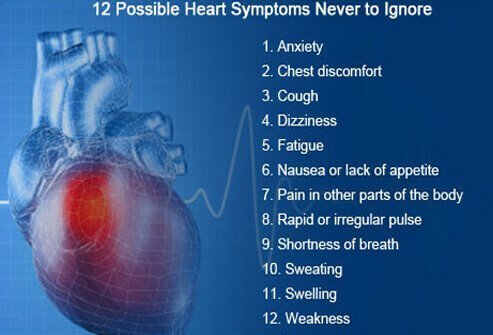 Heart symptoms may not always be explicit so do not ignore any potential cardiac warning signs. Some warning signs not to ignore include: shortness of breath, heartburn, muscle soreness, painful hiccups, neck or upper back pain, or other symptoms discussed in this slide show. 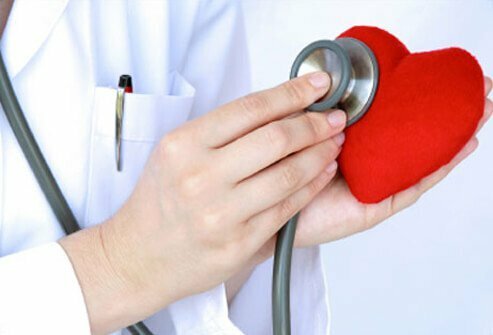 People with known heart disease or significant risk factors such as people over age 65, strong family history of heart disease, obesity, smokers, high cholesterol, high blood pressure, or diabetes should pay extra attention to any possible cardiac symptoms. It is important to pay attention to any symptoms that may indicate heart disease. Don't ignore them or wait for them to go away – see your doctor for testing and diagnosis. Many people mistake heart disease symptoms for heartburn or muscle soreness. If you have any cardiac disease risk factors, including being male, over age 65, have high cholesterol or high blood pressure, are obese, a smoker, diabetic, or have a family history of heart disease you need to pay extra attention to any potential heart disease symptoms. One symptom of an impending heart attack can be extreme anxiety. You may feel as if you are having a panic attack and experience shortness of breath, palpitations, chest pain, and dizziness. If you experience these symptoms go to an emergency room right away. 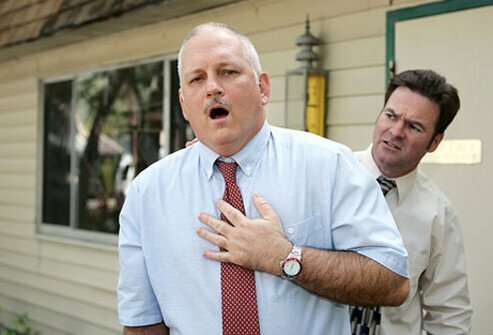 Chest pain is a typical symptom of a heart attack. However, only about half of all women experiencing a heart attack may have chest pain. In addition, chest pain can be a result of other conditions that are not related to the heart. When chest pain is heart-related it is often centered under the breastbone, slightly to the left of center. It can feel like extreme pressure on the chest, or just an uncomfortable sensation of pressure, squeezing, or fullness. Women may experience minor aches or even a burning sensation. Any chest pain should be brought to the attention of your doctor who will help diagnose the cause. 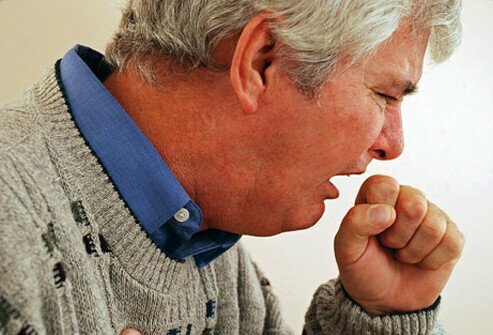 In heart failure, fluid may accumulate in the lungs, causing a persistent cough or wheezing. Sometimes the cough may produce bloody phlegm. If you have a chronic or worsening cough or wheezing that makes it hard to breathe or affects your daily life, see your doctor. Heart attacks and heart rhythm abnormalities called arrhythmias can cause dizziness, lightheadedness, and even fainting. Many different conditions can cause these kinds of symptoms, so see a doctor to find out if heart disease is the cause of your dizziness. Fatigue is one of those symptoms that can be attributed to many different medical conditions. 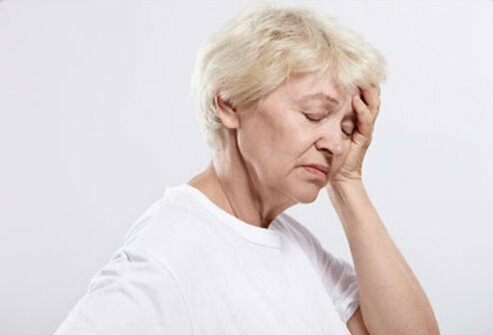 Sometimes women in particular to experience unusual fatigue during and in the days prior to a heart attack. 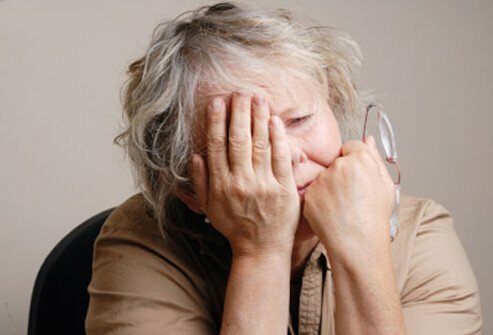 Heart failure can cause people to feel tired all the time. When you are so fatigued it affects your daily function ion, it is time to see a doctor. Nausea, indigestion, vomiting, or abdominal swelling can occur during a heart attack. Sometimes the poor circulation due to a weak heart or blocked arteries can cause these symptoms. This is common in women, and often gets worse with activity and improves with rest. 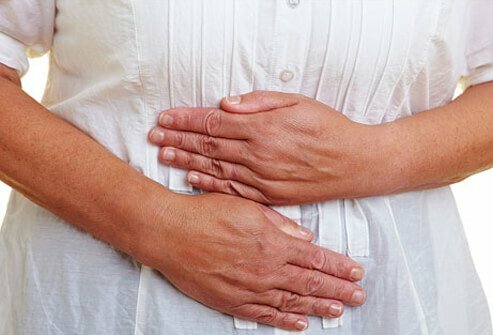 If you are experiencing nausea or lack of appetite that follows this pattern, see your doctor. While chest pain is common in a heart attack, pain may occur in other areas of the body. Many people experience heart attacks as pain that begins in the chest and spreads to the shoulders, arms, back, neck, jaw, or abdomen. Men may experience pain in their left arm during a heart attack; women may experience pain in either arm or between the shoulder blades. The pain may come and go and may be mild or severe. If you experience pain similar to this, go to an emergency department immediately. You may be experiencing a heart attack. An occasional "skipped" heartbeat may be no cause for concern. But if you have a rapid or irregular heart rate this could be a symptom of a heart attack, heart failure, or an arrhythmia. 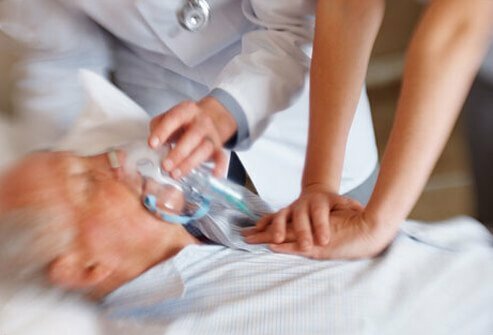 This rapid or irregular pulse may also be accompanied by weakness, dizziness, or shortness of breath. 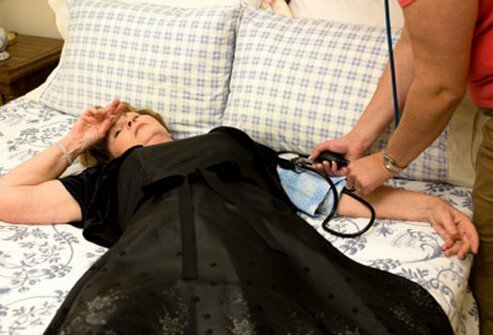 Seek medical attention immediately – some arrhythmias can lead to stroke, heart failure, or death without prompt medical intervention. During a heart attack or heart failure, fluid may leak into the lungs, causing shortness of breath. People may feel breathless even at rest. 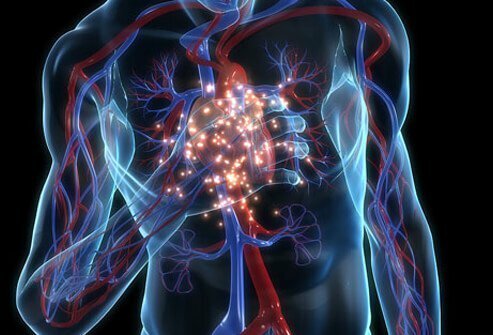 Shortness of breath can be due to other conditions such as chronic obstructive pulmonary disease (COPD) but it can also be a sign of heart attack or heart failure. Breaking out into a sudden sweat for no reason is actually a common symptom of a heart attack. 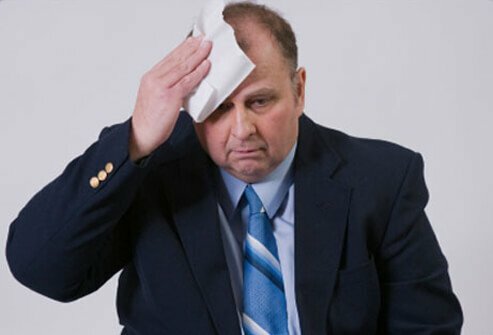 Sweating profusely when you don't have a fever and are not exerting yourself or in a hot environment – especially if accompanied by other symptoms such as lightheadedness, shortness of breath nausea, or chest pain – may be a symptom of a heart attack. When the heart is weakened it pumps blood less effectively, and this can lead to fluid retention that results in swelling (edema) of the lower extremities or abdomen. Heart failure can also cause sudden weight gain and loss of appetite. Severe and unexplained weakness may be a sign of an impending heart attack. The heart is unable to pump enough blood to meet the body's needs. Blood gets diverted to the most critical organs such as the heart, lungs, and brain, and away from the muscles. If you notice any of the symptoms discussed in this slide show, see your doctor or go to an emergency department right away. 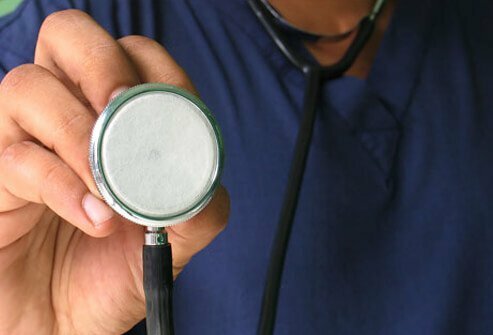 If you have any risk factors for heart disease it is especially important to pay attention to your body and get any symptoms checked out by a doctor. Getting prompt medical attention may save your life! American Heart Association: "Warning Signs of Heart Failure." Anxiety and Depression Association of America (ADAA): "How Can I Tell If I’m Having a Panic Attack Or a Heart Attack?" Centers for Disease Control and Prevention (CDC): "Heart Disease Facts and Statistics." National Heart, Lung, and Blood Institute: "What Are the Signs and Symptoms of Heart Disease?"